Wax. Honey bees make it to build combs where they store food, place their eggs, grow their young. The female honey bees have 8 wax-producing mirror glands, found on the inner part of their body. Their size depend on the age of the bees. After many days of flights, those glands begin to atrophy. Initially the wax is transparent, and becomes opaque after mastication. It is nearly white when the combs are made, but become yellow and then brown when pollen and propolis are placed inside the wax cells. – the temperature in the hive must be 33 to 36°C (91 to 97°F) so the bees can secrete wax. – bees must consume about eight times as much honey by mass. Beekeepers say that 6.66 to 8.80 pounds of honey yield 1 pound of wax. Measured in the distance, this will mean 150,000 miles for 1 pound of beeswax. Or, 530.000 km for 1 kg beeswax. A very good reason for its high price. No. I mean we can, but it’s not digestible. It will come out the same form. Experts say it is poorly hydrolyzed in the guts of humans and mammals, and so it is not significant as food. There are only some birds, called honeyguides (see picture), that can digest beeswax. 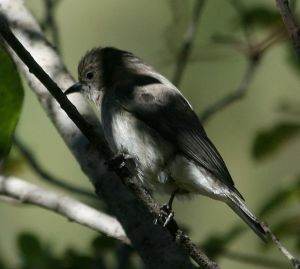 The birds are called honeyguides, because they do exactly that, guide the beekeepers to bees’ swarms, because after the beekeepers take the colony, the birds can feed themselves with grubs and beeswax that are left behind. Though we don’t eat it like that, we use beeswax in food preparation. • As a coating for cheese, to protect it against spoilage. • As a food additive, namely E901, a glazing agent which prevents water loss. Or it is given on some fruits to protect them. E901 can also be found in soft gelatin capsules or tablet coating. • As a common ingredient of natural chewing gum. What is beeswax good for? textiles, because it’s waterproof and paint resistant. industrial products: as an anti-corrosion rust inhibitor, or as lubricants. See also: Honey cappings make the best healthy chewing gum! Ever! Generally, beeswax can be classified into European and Oriental types. 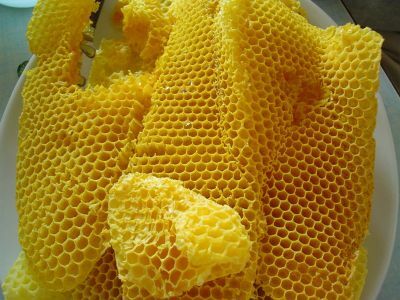 They have a lower saponification value (3–5) for European beeswax, and higher (8–9) for Oriental types. 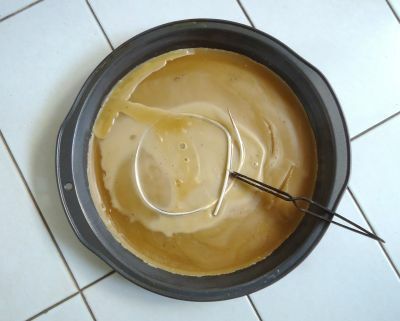 • beeswax absolute: it is yellow beeswax treated with alcohol. Old Egyptians used it to embalm and mummify their pharaohs, to retain the permanency of wig curls, to preserve papyrus scrolls, to protect paintings; ancient Persans used wax to embalm their dead and ancient Romans modeled death masks and life-size effigies from beeswax. The word mummy derives from a Persian word meaning wax. Beeswax was also used as adhesive to join two surfaces together. Icarus! Everyone knows about Icarus. He made himself a pair of wings, from bird feathers that were glued with beeswax. He wanted to escape from Crete, by flying over the sea. But he flew too high, and the wax melt. Thus he felt into the Aegean Sea and drown. His father flew at a lower height, arrived to Athens and there he built a temple to honor Apollo. In the most famous medicine book of China, “The Shen Nong Book of Herbs”, beeswax was regarded as a top medicinal ingredient. Is says it is good for blood and energy system and the overall balance of the body. Combined with other ingredients it was used to treat wounds and as health food for dieting. In religion, candles were made of beeswax. In the Roman Catholic Church, there was a rule stating that candles should be made of 100% beeswax. This law is still valid today, only that the percentage has been lowered to 5 – 50 %. All the figurines and sculptures were made of beeswax and all the documents were sealed with beeswax. Beeswax was considered a good business, but in the 19th century, paraffin was discovered and beeswax was no longer exclusive on the market. You’re right, not placed in them. The inside of honey cells are only brushed with propolis to maintain the honey in perfect condition. Propolis is not placed in honeycomb cells.